Julie is the Managing Partner of the Atlanta, Charlotte and Greensboro offices. A veteran litigator, she concentrates her practice in labor and employment litigation, counseling and training. Julie has handled employment matters in both federal and state courts, as well as before the EEOC and the state and federal Departments of Labor, for more than 25 years. She has a depth of knowledge in management counseling and litigation defense for health care providers including hospitals, substance abuse providers, long-term care facilities and physician practices. She also regularly represents clients in the transportation, education, manufacturing, hospitality and retail industries. Trained as a mediator as well as a litigator, Julie looks for strategic, cost-effective ways to resolve conflict. She enjoys the day-to-day counseling and problem-solving aspects of her practice and is a frequent speaker and trainer for employers and management groups. 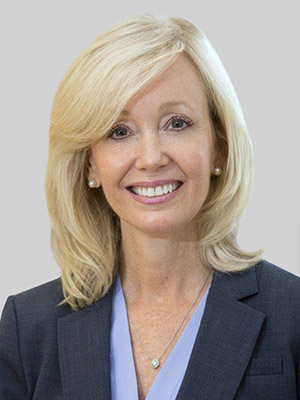 Julie was a partner and Chair of the firm's Management Committee at Smith Moore Leatherwood LLP, which merged with Fox Rothschild in 2018.